Comb a homemade conditioning treatment through your hair. Making your own hair care products is as easy as opening your refrigerator. The basic building blocks of all natural products are widely available and fairly inexpensive. Store the conditioners in clean containers in the refrigerator for up to a week; you can't leave them in the bathroom since they do not include preservatives and the ingredients are perishable. Whip up one of these recipes and enjoy gorgeous, silky hair. Make a deep conditioner by squishing together a small jar of real mayonnaise and half an avocado. Smooth the paste into your hair from roots to tips. Wear a plastic shower cap for 20 minutes before rinsing clean. For deeper conditioning, put a hot, damp towel around your head over the shower cap. If you have really long hair and only need deep conditioning at the ends, apply only to the lower half of your hair. Comb 1/2 cup of mayonnaise through damp hair after shampooing for a moisturizing treatment. Wrap a towel around your head and wait 20 minutes before rinsing. Mix a tropical hair treatment by peeling and mashing an avocado and then adding a little coconut milk at a time. Use a fork to combine the ingredients and keep adding the coconut milk until it reaches the consistency of a bottled conditioner. Comb it through the hair and let sit for 10 to 15 minutes before rinsing. Condition your hair with a mixture of 1 cup of warm beer and 1 teaspoon of jojoba oil. Massage through the hair and then rinse well. Use shampoo to remove any remaining oil. Treat your hair to a nourishing conditioner made with 1 egg yolk, 1 teaspoon of baby oil and 1/2 cup of water. Beat the egg yolk until it's frothy, slowly adding the oil while beating. Add the water and continue to beat until well mixed. Massage into the scalp and throughout your hair. Rinse well. Make a paste from a mashed avocado, 1 tablespoon of lemon juice, 1 teaspoon of sea salt and 1 tablespoon of pure aloe. Comb through your hair and then cover with a plastic shower cap. Leave in 20 to 30 minutes. Rinse and then shampoo as usual. 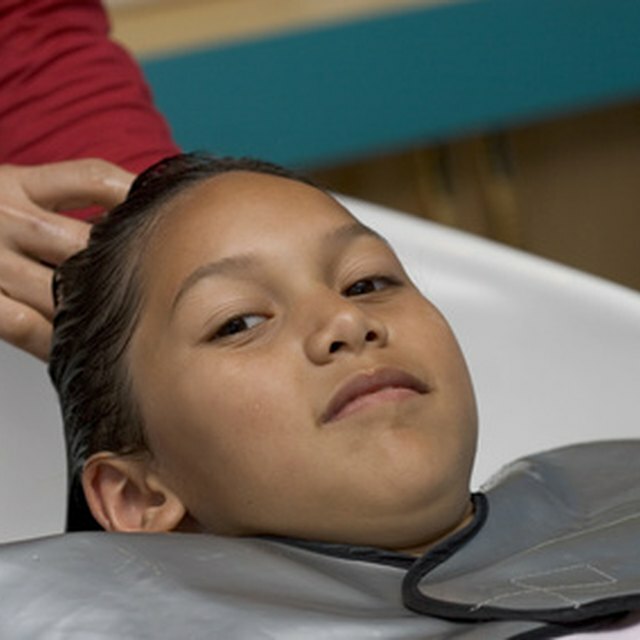 Avoid shampoos that contain sodium laurel sulfate, or sodium laureth sulfate. They lather well but are harsh on your hair. Instead, purchase shampoos made with decyl glucose, or decyl glucoside, which are much gentler.